JAGworks is now offering you the rare opportunity to tailor make your own XK180 replicar to your personal specifications. Now, at last, it is possible to own and drive a faithful replica of Jaguar’s stunning XK180 Concept car (Original concept car photos shown above). The XK180 was first shown to the world at the Paris Motor show in 1998. The concept car was hand-built in the company's Special Vehicle Operations (SVO) workshops at Browns Lane in Coventry and was inspired by the great Jaguar roadsters of the fifties and sixties. Only two were ever built, each at an estimated price of a million pounds, making the XK180 the unattainable dream for Jaguar enthusiasts around the world. "That dream is now a reality." 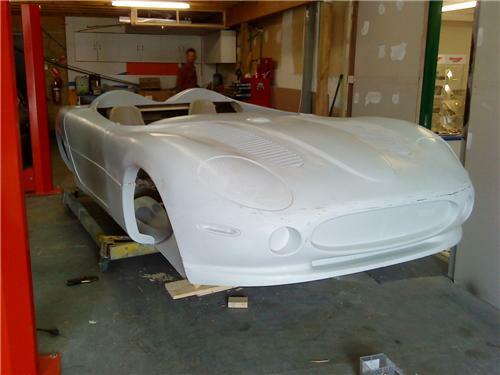 We now have an authentically detailed replicar body of the XK180 concept car to be built around genuine Jaguar chassis and engine components. This engineering approach provides an authentic Jaguar driving experience and offers owners a wide choice of tuning options from docile road cruiser to track day wildcat. The XK180 replica is utilising the widely available XJS floor plan (1975–1996), which enables the project to be registered in Australia, as the car is still registered as a Jaguar. It can run either the V12 or the 6 cyliner AJ6/AJ16 engine that were fitted to the original XJS's.This allows an option to run the 5.3 or 6.0 litre V12 or any of the 3.2, 3.6 or 4.0 litre 6 cylinder engines, plus the option to fit the latter V8's or any aftermarket engine. We are offering a complete fitted GRP body fitted to a XJS which is modified ready to meet the Engineering standards for registration in Australia. The body is supplied as a rolling body without engine or gearbox, so either can be chosen to be fitted. The GRP body is fitted with all panels hinged & swinging. 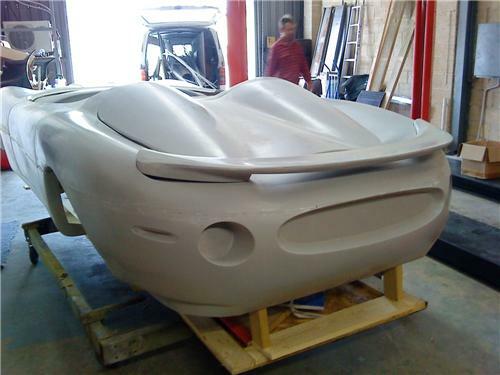 The kit consists of a GRP body, accurately detailed interior set and body fittings to complete an authentically detailed XK180 replica including the dash door trims and seats. All the side screens, front wind deflector & headlight covers all moulded to suit.